This year, Dreamforce has over 350 sessions geared directly to Financial Services customers and prospects. While you may be learning cutting-edge CRM trends and brainstorming innovative solutions to industry challenges, make sure you connect with Silverline’s expert team to leverage our experience developing solutions with our industry partners. In a blog article last week, I discussed how clients have leveraged Silverline’s expertise for solutions in banking, lending, insurance, private equity, and investment banking. I want to continue our dedication to the Financial Services industry by highlighting some additional successes for asset management, real estate, and wealth management. Silverline has deep industry experience across a breadth of Financial Services institutions. As a Salesforce Fullforce Partner, we know every institution has its own unique set of challenges and hurdles to overcome, all while keeping the focus where you need it: your customer. Innovation and competitive strategies are at the heart of every solution Silverline offers, with the bonus of training your in-house staff to maximize the ROI in your custom solution. Schedule a meeting in the Silverline Lounge to connect with the Financial Services team and see how Silverline can partner with your organization to serve the needs of your customers. With Asset Management, customer focus and controlling risk are of paramount importance. To be successful in those goals, a complete solution emphasizing a 360-degree client and portfolio view, across all platforms, is a must. An independent investment manager for institutional investors leveraged Silverline’s expertise in institutional asset management by migrating data from their previous CRM into Salesforce. This allowed the organization to easily manage their customers’ activities, report metrics on a client’s activity, and strengthen customer relationships, both existing and through increased referral opportunities. Asset managers can access the information they need throughout the entire fund lifecycle to better serve their clients and stay at the top of their game. Managing acquisitions and moving customers through the leasing cycle requires a level of automation Silverline is well-equipped to handle. Automation gives companies the freedom to focus on tasks that can grow their business rather than on data entry. A leader in urban real estate development, leasing, and management needed a front-end and back-end solution that could manage the leasing process from end-of-end. They partnered with Silverline to develop a solution that schedules and tracks viewings, sends and collects resident applications, collects supporting documents, and screens tenants and guarantors. For property management, the solution collects maintenance orders, assigns repairs, and amalgamates new acquisitions into the system. Because of Silverline’s solution, this real estate management company now has an up-to-the-minute, clear insight into their day to day operations, allowing them to continue to build on their reputation as a premier retail and mixed-use asset retention and leasing business. Like most Financial Services Institutions, Wealth Management firms rely on building strong relationships between advisors and clients. The key to those relationships is transparent communication customers can rely upon and trust. An investment advisor had experienced rapid growth and needed a central database to track its customers and share up to the minute information its customers counted on. Independently owned by its employees, they had begun as a family office, and thrive on a team approach to investing. Silverline’s solution implements and automates the firm’s process for understanding each client as well as account opening procedures to reduce the data entry workload. Silverline’s solution took this automation one step further by building out a set of reports and dashboards for management to leverage, and a custom reporting function allowing the firm to keep up with requests. Staff is audit-ready at the click of a button, with the accuracy and transparency their client has come to expect. If you’d like to discuss how Silverline can help take your Financial Services business to the next level, Silverline’s Financial Services Practice team will be available at Dreamforce. 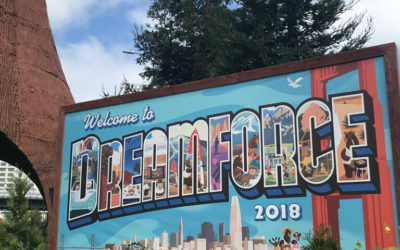 Not attending Dreamforce, but you still want to explore these solutions? Subscribe to our blog as we continue to dive into all the Financial Services Practice team can offer.